Caesars Entertainment inspires team members to hydrate, contributing to BETTER WELLNESS and increased visibility around its CodeGreen Initiatives. QWASI is pleased to collaborate with Caesars, Cellotape, and NXP to use new technology to solve real world challenges. 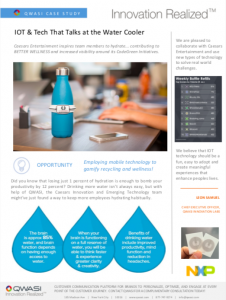 OPPORTUNITY: Employing mobile technology to gamify recycling and wellness! Did you know that losing just 1 percent of hydration is enough to bomb your productivity by 12 percent? 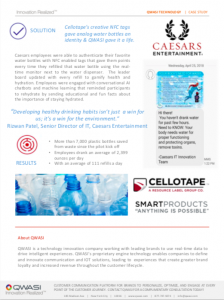 Drinking more water isn’t always easy, but with help of QWASI, the Caesars Innovation and Emerging Technology team might’ve just found a way to keep more employees hydrating habitually. SOLUTION: Cellotape’s creative implementation of NXP’s NFC tags gave analog water bottles an identity & QWASI gave it a life. Caesars employees were able to authenticate their favorite water bottles with NFC enabled tags that gave them points every time they refilled that water bottle using the real-time monitor next to the water dispenser. The leaderboard updated with every refill to gamify health and hydration. 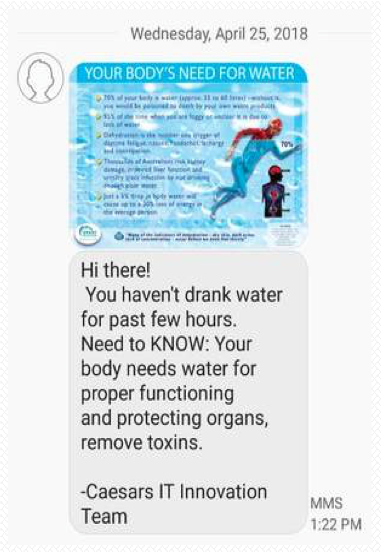 Employees were engaged with conversational AI chatbots and machine learning that reminded participants to rehydrate by sending educational and fun facts about the importance of staying hydrated. Cellotape is the leader in creating RFID and NFC enabled products and labels. QWASI and Cellotape work together to bring objects to life giving them intelligence through authenticity and customer experience. NXP Semiconductors is one of the largest semiconductor suppliers in the world, and the leading semiconductor supplier for the secure identification, automotive and digital networking industries. 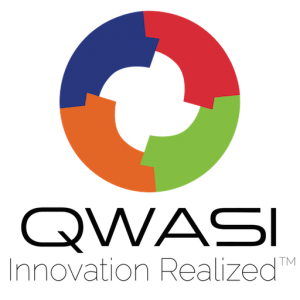 QWASI and NXP work together to unlock NFC capabilities around mobile applications, and understand unique devices as they engage in the world of IOT.